At Beverly Hills Hair Group, we use all the medical tools and advanced technology available to help our patients fight hair loss. Hair transplants and PRP treatments are just two of the options we use to regenerate hair growth for our male and female clients experiencing thinning hair or pattern baldness. There are also some effective medications and supplements we can recommend for our patients that can help combat hair loss and be used alone or in conjunction with other treatments. The first FDA-approved drug for male pattern baldness is finasteride, also known as Proscar and Propecia. This drug was initially approved to be used for treating enlarged prostate issues, but it had an uncommon side effect during trials: hair growth. Merck, the company releasing the drug, decided to pursue using it to treat hair loss. In 1997, the FDA approved 1 mg doses of finasteride to be used to treat male pattern baldness or androgenetic alopecia. Finasteride works by reducing the 5-alpha reductase enzyme that converts testosterone into the potent androgen dihydrotestosterone or DHT. This can reduce the effect of hair loss by higher levels of DHT, but it does not impact or lower testosterone levels below normal ranges when used in the correct dosages and has few to no negative side effects. Minoxide is a topical solution that contains minoxidil, otherwise known as Rogaine. Minoxidil, like finasteride, was a drug used for other purposes (treating high blood pressure) but had the side effect of hair growth. Clinical studies were developed to study minoxidil used in a topical form for hereditary hair loss. It was found to stimulate the hair follicles, revitalizing them to regrow hair in both men and women and is now approved for treating hair loss. Our team, headed by Dr. Ben Talei, a dual board certified plastic surgeon at Beverly Hills Hair Group has created our own proprietary blend of nutrients and other ingredients to help bolster hair growth. Our BHHG Elixir works with other hair loss treatments to encourage optimum results and is customized for each patient. This topical foam is only available through our clinic and our patients have raved about the excellent results they notice when they utilize the BHHG Elixir with their other treatments. Stimulating hair growth can be accelerated with the right nutrients. Viviscal Professional is a formula of key vitamins and minerals that are needed for healthy hair. This tailored nutrient supplement contains specific nutrients that have undergone over 25 years of research and clinical trials that have proven their effectiveness in enhancing hair growth. Viviscal Professional contains key nutrients that nourish the hair from within the body. This includes many natural components, including the proprietary AminoMar marine complex, as well as biotin, vitamin C and apple extract. This formula is drug-free and safe, harnessing the benefits of key nutrients that positively impact the hair growth cycle and help improve the health of existing hair growth. It is recommended to take two tablets of Viviscal Professional for a minimum of six months to improve hair growth and can be used in conjunction with other hair loss treatments available at Beverly Hills Hair Group. 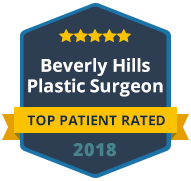 It is our goal at Beverly Hills Hair Group to give our patients the most advanced options in hair loss treatments to achieve results. Dr. Talei personalizes every treatment plan to the individual. 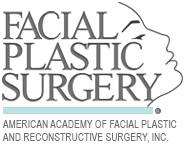 This may include the use of medication and supplements along with medical procedures such as hair transplants and PRP injections, giving every patient the best options for hair rejuvenation to look and feel their best. Contact our clinic to schedule your consultation to learn more about all the treatment solutions we offer to begin your journey to thicker, healthier hair.